This is just one state and it needs to be true in every state, even for recreational use if that is legal. As the article says, wouldn't you be awful pissed off if you got fired for enjoying an IPA after work? But I see this ruling as an important foot in the door legally for marijuana users. I hope this continues as courts are going to see more of these cases. I'd like to hear feedback on this. I know some people who function very well as an every day smoker, you can't tell they are high and they conduct themselves normally. I've known people that smoke when they wake up or on their way to work. Now, as an employer, I wouldn't want one of my employees to get behind the wheel of a company vehicle after they took some hits on the way to work. I wouldn't want my employees, say if I owned a roofing company, to be on the roof after they smoked on their lunch break. Obviously if you drink while on the clock or come to work with alcohol on your breath there is going to be a problem. Why shouldn't that be the same for marijuana? Why shouldn't the employer be able to test their employees and determine who they do or do not want conducting business on their behalf? want conducting business on their behalf? I agree. That’s a common sense responsibility. One problem with testing is being able to tell if someone smoked an hr or a week ago. Everyone should follow the rules on using any substance while at work. I think people who smoke (I may know one or two that do it) have long felt that if they are at home or on their own time, it’s a bit invasive. That’s what I’ve heard anyway. You bring up an interesting and a very contentious point. There needs to be a testing system which can determine if you are currently high or have used a day or so ago or more. In 2018 I'm surprised some tech company here in Silicon Valley where I live has not developed such a product. The financial potential is enormous. I'm been a Respiratory Therapist for 24 years. I quit smoking 3 years ago for health reasons but I still use edibles. If I have just done 12 hour night shifts three consecutive nights, I am going to have a brownie to help me relax and go to sleep the following night, and the night after that too. Why shouldn't I? It relaxes me and puts me to sleep in a natural manner with no side effects such as dangerous sleep meds like Ambien have. But no RT should EVER go to work stoned, we've got way too much responsibility. I know a guy who lost an RT job a couple of years back. He had been there over 20 years but an ER Doctor smelled weed on him. That basically was a death sentence. He was fired. And he should have been. I grilled him on it, "Did you smell like weed?" "I could have," he said. Since he didn't deny it, I knew that he had gone outside and smoked during his shift. That is NOT cool. But I also don't think it's fair to penalize me for the irresponsibility of others. I don't think anyone should be fired for testing positive for marijuana unless an employer has probable cause to think they are coming to work high. In the situation I just described, they had every right to fire him. In early 2017 I did a 3 month contract at a hospital out of town from me. The Manager loved me, she told me that she was getting compliments on my work from Doctors and nurses. She wanted me to to extend my contract but I wanted to get back home. But later last year things had slowed down for me and I inquired about coming back. Yes, she wanted me back. But I failed the drug test this time. I was denied returning and she was denied a good caregiver that she had experience with. All because on my own time in the privacy of my own home I choose to use a medicinal herb which is outright legal in my State. No I don't think that is right. Look, I have to constantly prove my mental acuity. Besides Basic Life Support (CPR), I have to have three other very grueling certifications just to walk in the door, each of which must be renewed every two years: Advanced Cardiac Life Support, Neonatal Resuscitation Provider, and Pediatric Advanced Life Support. Try taking one of those classes sometime and see if you think a "stoner" could pass one of them. As long as I can do that, and I am not showing up to work stoned, I fail to see what relevance my marijuana use off-site has to do with ANYTHING. And I sincerely doubt that whoever is making the drug policy has to have those certifications, or are they working 12 hour night shifts holding lives in their hands at 3:00 AM. I wish someone would tell me what the difference is between this and someone who likes to relax a few days a week by having a few beers. They never come to work impaired or smelling like alcohol. Therefore it never effects their job status. Lots of alcoholics drink on the job undetected until disaster strikes. People buy over counter cough med to suppress symptoms so they can work. Legal prescriptions for pain, or psychiatric meds that alter judgement. Sleep deprivation from odd shifts and overtime burnout, and on and on, there are many ways to be irresponsible and a hazard on the job site that can't be tested for. Singling out pot is a joke. Folks should be sober at work, but if they are gonna f*ck up I would rather have it be on pot than any of the above, all mostly legal. I agree, if somebody is competent and has the necessary work ethic it should not matter at all what they do in their free time. The key is if we are talking about responsible, respectable individuals. I have been with coworkers that would talk about smoking on lunch break. That is not responsible or respectable to the employer. And certainly neither is taking a couple swigs out of the bottle in the car before returning to work. It is still a stigma for some, I suppose with time more employers will let their guard down. Alot of it I would think will come from insurance requirements, or whatever mandates random drug testing by employees. Or like you say, something emerges that can detect or determine when the substance was last used. Alot of companies in my area complain about the lack of eligible workers because over half of the job applicants fail drug tests. I think somebody's ability to completely, properly and professionally to carry out the work should be all that matters - employers just need to trust their workers are safe and sober on the job. What you do after hours and off the clock is your business. Obviously if you drink while on the clock or come to work with alcohol on your breath there is going to be a problem. Why shouldn't that be the same for marijuana? It is exactly the same for marijuana, which is easier to detect "on your breath" than alcohol anyway. Employers have the right to fire intoxicated workers. 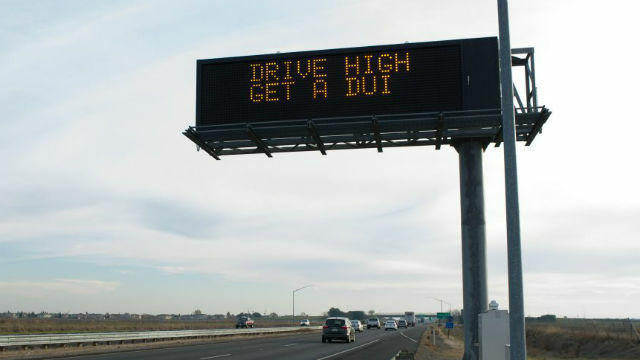 Same goes for DUI, radio ads and billboards here in legal potland warning you will get busted for driving while stoned - you can get busted for driving intoxicated period, whatever you are on, legal or not. Why single out pot to test for, out of all the legal ways to be an intoxication hazard on the job? Exactly nebish. Responsible and respectful. I have a “friend” and he thinks that smoking at work kind of defeats the purpose. It’s suppose to be recreational.